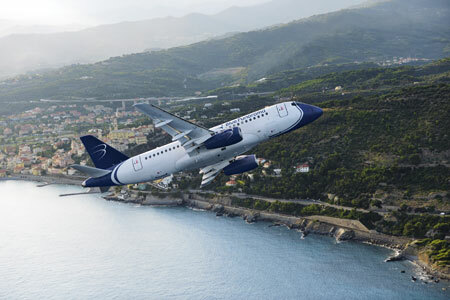 SuperJet International – a joint venture between Alenia Aeronautica (a Finmeccanica Company) and Sukhoi Holding – signed an order today with the Italian Blue Panorama Airlines for the purchase of 12 Sukhoi Superjet 100 (SSJ100) aircraft. Based on the list price, the agreement has an estimated value of USD 370 million. The deliveries of these SSJ100/95B aircraft will start at the end of 2012. The aircraft interiors will be provided by the Italian design group Pininfarina. The Blue Panorama SSJ100 fleet will be also supported by SuperJet International with tailored after-sales solutions beginning with the first delivery. The first Sukhoi Superjet 100 entered into revenue services with Armavia on April 21, 2011. The aircraft was put into operation in an extremely short period of time, two days after the official delivery to the launch customer on April, 19 2011. On June 16, 2011 the SSJ100 entered into commercial operation with the Russian airline Aeroflot from Moscow to St. Petersburg. During the first two months of operation the SSJ100 totalized 119 flights and more than 268 hours. Owing to its economic efficiency and operational capabilities, the aircraft confirmed to be suitable both to regional and to short-haul routes.